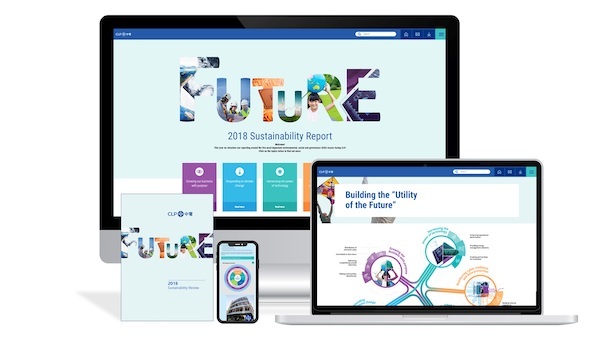 “As part of our efforts to become a ‘Utility of the Future’, we recognise our purpose, and the need to decarbonise and digitalise our business, strengthen our cyber resilience, and attract the right talent to our workforce,” said CLP Holdings Chairman The Hon Sir Michael Kadoorie and Chief Executive Officer Mr Richard Lancaster in the Sustainability Report. Last year, CLP announced its strengthened decarbonisation commitments originally made more than a decade ago in its Climate Vision 2050 pledge. They include reducing the Group’s carbon intensity to 0.15kg CO2/kWh by 2050 and having 30 percent of renewable energy and 40 percent of non-carbon emitting energy in its portfolio by 2030. To keep pace with the fast-changing environment, CLP has now undertaken to review its targets at least every five years while taking steps to decarbonise in different regions. In Hong Kong, CLP will have two new gas-fired power generation units at Black Point Power Station in the near future, which will allow the gradual phaseout of the oldest coal-fired units at Castle Peak Power Station when they reach the end of their operating life in the mid-2020s. It is also constructing an offshore LNG terminal which will improve Hong Kong’s energy security with access to international sources of natural gas supplies. In India, CLP expected its new partnership with Caisse de dépôt et placement du Québec (CDPQ) would support CLP India to grow its zero-carbon electricity generating portfolio in one of the world’s largest and fastest-growing economies at a time when the industry is ripe for consolidation. As Australia transitions to clean energy, CLP will focus on optimising its generation portfolio, enhancing asset reliability and exploring the integration of flexible capacity options, including pumped hydro, battery storage and gas-fired generation. In 2018, CLP’s carbon intensity on an equity plus long-term capacity and energy purchase basis reduced to 0.66kg CO2/kWh. The reduction was primarily driven by the Yangjiang Nuclear Power Station being in operation for a full year under CLP's equity ownership, increased generation from its renewable assets in India and Mainland China, as well as additional long-term purchase arrangements in Australia. Innovation is another priority in CLP’s long-term goals. The company said it would embrace the opportunities inherent within the digital evolution, and continually refresh its operations, products and services capturing the latest in innovation, efficiency and customer convenience. It will also focus on investing in people and resources to manage the increasing scale and severity of cyber security risks. Direct investments in start-ups and participation in large technology-focused venture capital funds continued throughout 2018. In view of the challenges in the rapidly-changing energy sector, CLP stressed that it would continue building an agile, inclusive and sustainable workforce for the long term. Equally important is to raise the Group’s safety culture and build a healthy and engaged workforce. To identify and prioritise the environmental, social and governance (ESG) topics that are the most important to CLP and its stakeholders in the medium to long term, the company conducted a materiality assessment and streamlined its reporting approach in the Sustainability Report to focus on what matters most. Any stakeholder who sends feedback to CLP on its Sustainability Report, Annual Report or online snapshot on or before 30 June 2019 will receive four CLP Carbon Credits, which can be used to offset emissions from a 15-hour economy return flight or equivalent.